Proper spring lawn prep is absolutely essential to a healthy lawn that can hold up to the elements, and the changing of the seasons. 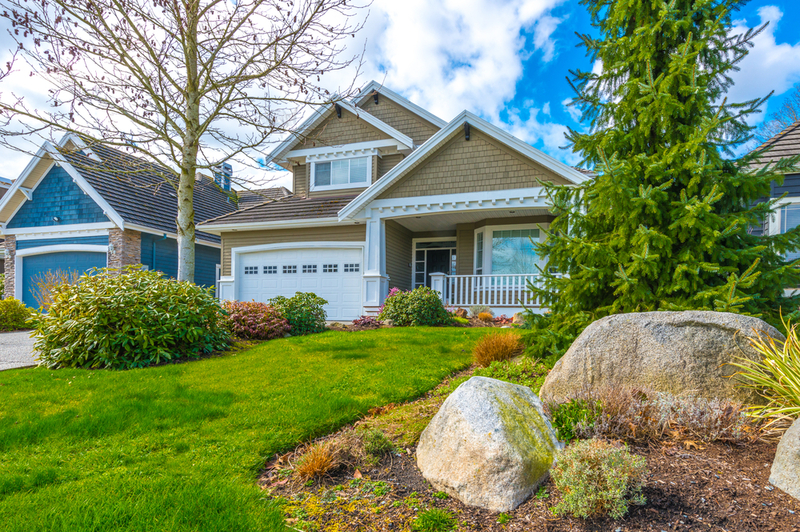 Spring and summer is when lawns experience the most growth, so it provides you with the perfect opportunity to repair lawn damage and increase the visual appeal of your lawn – as long as you prepare it correctly. In this article, we’ll take a look at the most important steps you can take in early spring to ensure that your lawn, whatever kind it is, has everything that it needs to grow into robust, healthy turf. Check out our spring lawn preparation tips, and get the yard of your dreams this spring! Spring lawn prep is all about giving your grass everything it needs to grow back strong and robust after a tough winter. Snow, sleet, hail, ice, and rain all take a toll on our lawns and our landscaping, and can often cause debris like tree limbs, pieces of smaller shrubs, and dead leaves to collect on your lawn. You’ll want to remove these debris – not only because they discourage growth, but because you can’t truly get a good idea of the general health of your lawn without seeing it all. After removing debris, take another look at your lawn. Are there any damaged areas? Places where water may have pooled, or large debris crushed your grass? Take note of these problem areas – you’ll want to remember where they are when you re-seed. Healthy grass loves the spring months – the ample sunlight, heat, and moisture of spring provide an ideal environment in which grass can grow. However, there is one kind of plant that loves these conditions even more than your grass – weeds. Because of this, weed control should be a big part of your early spring lawn checklist, and your spring lawn prep. Weeds can often grow much more quickly than grass and choke them out of nutrients and sunlight, so you’ll want to get ahead of them. Check out patches of crabgrass that have been problematic, and look for other weeds. If you plan on performing weed control, do so ASAP. Remove weeds where you can – from the root – and spray down problem areas with pre-emergent weed control. Next, you’ll want to fertilize your entire lawn – lightly – with a high-quality grass fertilizer. An early application of fertilizer ensures that your lawn is totally ready to grow when the temperatures rise, giving you optimal growth. Aeration is a form of landscape maintenance that’s best done mid-way through spring – but if your grass and your soil has been extremely compacted by heavy snow and rough weather, you can perform aeration before peak growing. It’s important to make sure that your grass is growing healthily before you do this, as heavy aeration can interrupt grass growth somewhat. The catch about re-seeding your lawn is that it can’t really be done at the same time as weed control – pre-emergent herbicide generally acts for about 12 weeks, and also stops grass seed from sprouting. You can re-seed areas of your lawn that are not under the effect of weed control, but you can’t plant new grass in problem weedy areas – at least, not in the early spring. 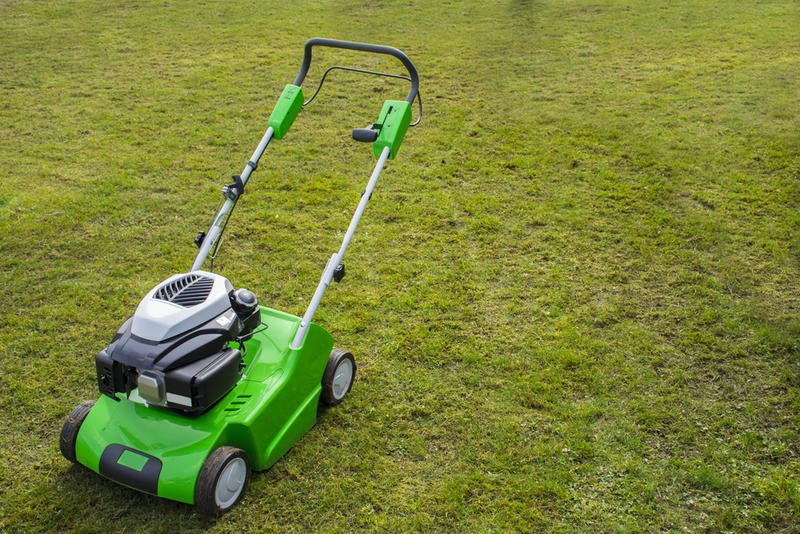 So when devising your spring lawn prep regimen, you should consider whether you’re more interested in removing weeds or regrowing bare patches of grass. If you’re landscaping in Northern VA, you’re in luck – the weather should be warm enough by March for planting, whether or not you’ve chosen a cold weather grass or a warm weather grass. Once soil temperature rises to about 50 degrees and the ground isn’t at risk of freezing, you’re ready to plant! Re-seed your lawn with plenty of seed, and ensure you’ve coated the area evenly. Remember to water it often during your lawn care early spring regimen, as it will require somewhat more water than a healthy grass patch. Early Spring Lawn Prep – Your Key To Lawn Growth Success! If you follow our early spring lawn prep checklist, you’re on your way to a happy, healthy lawn. While the winter is the time for indoor projects, early spring is the perfect time to give your lawn all of the tools that it needs to recover from winter, and ensure a weed-free, healthy lawn all throughout the rest of the year. So don’t ignore early spring lawn prep and maintenance. If you do, your grass will never fully recover from the harshness of the winter, and will be prone to dying early, being choked out by weeds, and struggling to survive in the hot summer. So don’t ignore your early spring lawn prep. You’ll save yourself a lot of trouble by performing some basic preventative maintenance – and your lawn will look fantastic all year-round.